A friend and I stopped here for a quick breakfast on our way through town and felt as though we’d fallen through a rabbit hole and tumbled back through time into a small town, Depression-Era cafe. 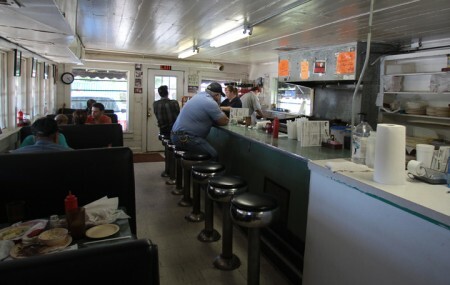 We loved it–everything from the creaky screen door and the time-worn booths and decor to the two sleepy teenagers waiting tables and a multitude of handwritten, fluorescent signs reminding patrons that Cupp’s does NOT accept credit or debit cards. (Obviously, since they hadn’t been invented yet!) I believe if John Steinbeck were to have passed through Waco 70 years ago he would have felt very inspired by this lil’ cafe.